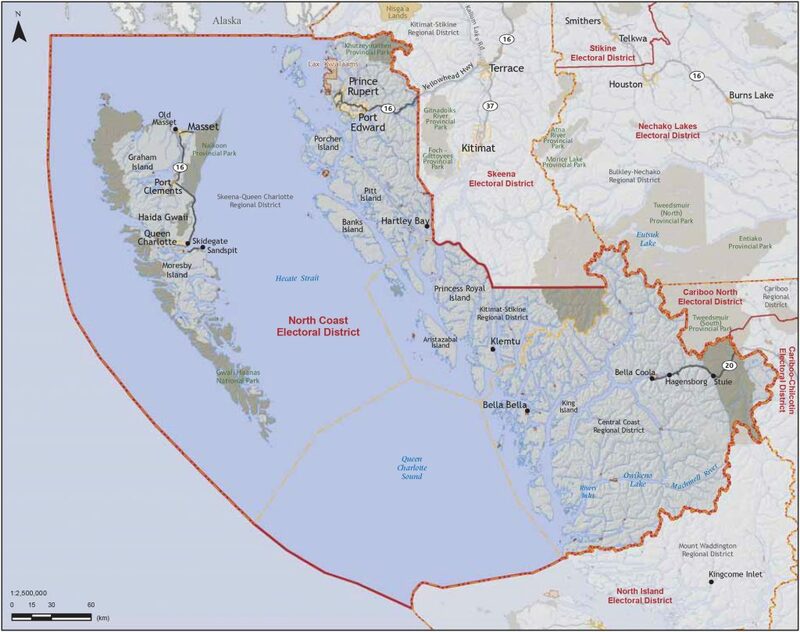 The North Coast Constituency consists of the communities of Prince Rupert, Queen Charlotte City, Masset, Sandspit, Hagensborg, Tlell, Denny Island, Bella Bella, Klemtu, Kitkatla, Port Clements, Oona River, Rivers Inlet, Stuie, Ocean Falls, Hartley Bay, and Bella Coola. This district was created by 1990 legislation and came into effect for the B.C. election in 1991. The population of our district is 27,992 (BC stats profile). To learn who your MLA is, visit this website and enter your postal code.